There are many ways to use up overripe bananas, but this bread may be the absolute best. 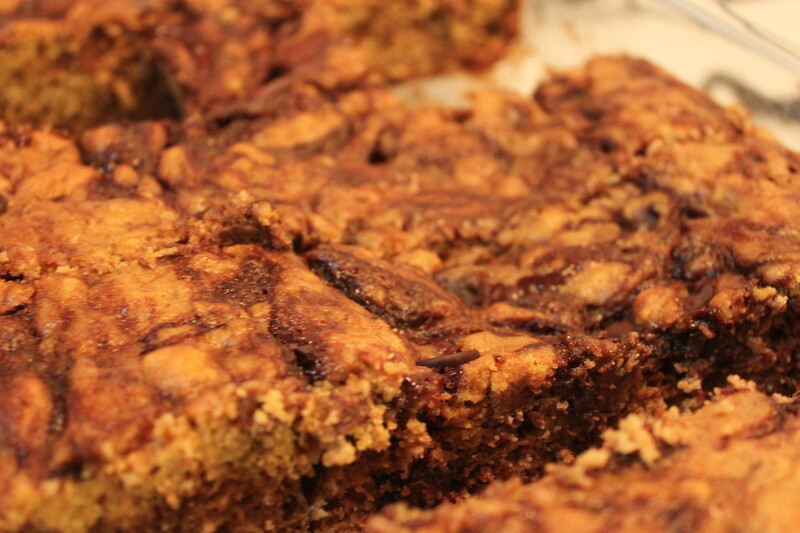 The sweetness of the Nutella combined with the kick from the rum makes this better than Grandma’s banana bread. Just make sure the bananas are really ripe, so they’re easy to mash. 1. Preheat oven to 350ºF. 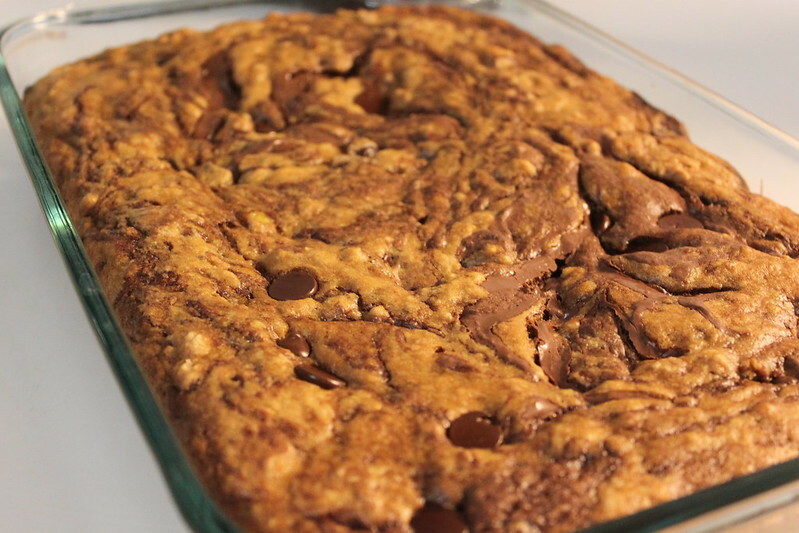 Grease 2 loaf pans or one large casserole dish. 2. 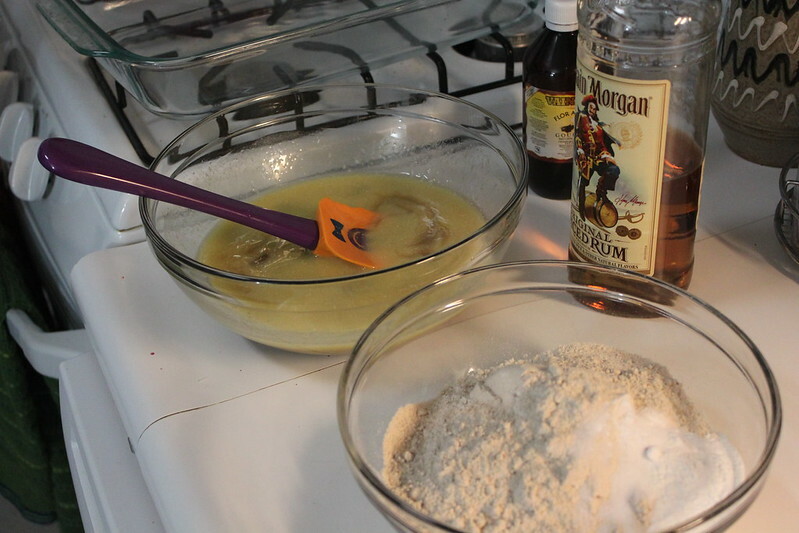 Combine sugar, butter, milk, eggs, vanilla and rum in one bowl until blended. 3. 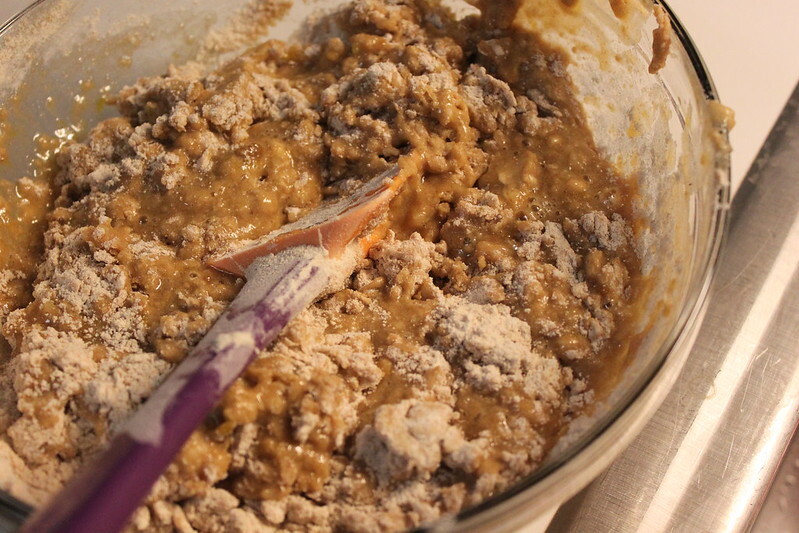 In another bowl, combine flour, baking powder, baking soda and salt until blended. 4. Add dry ingredients to wet ingredients, and add mashed bananas. Stir until just combined. 6. Microwave Nutella for about 30 seconds. 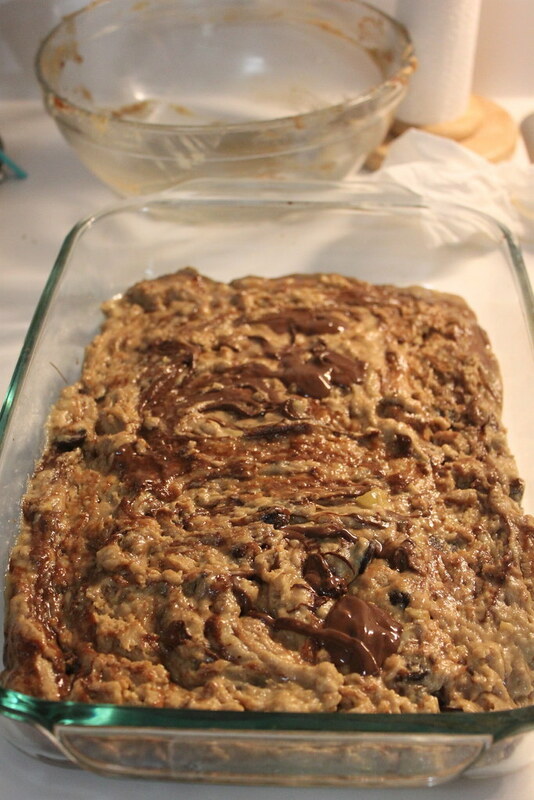 Pour evenly across the top of batter, and swirl with a knife. 7. Bake for about 40 minutes or until a toothpick or knife inserted comes out clean.